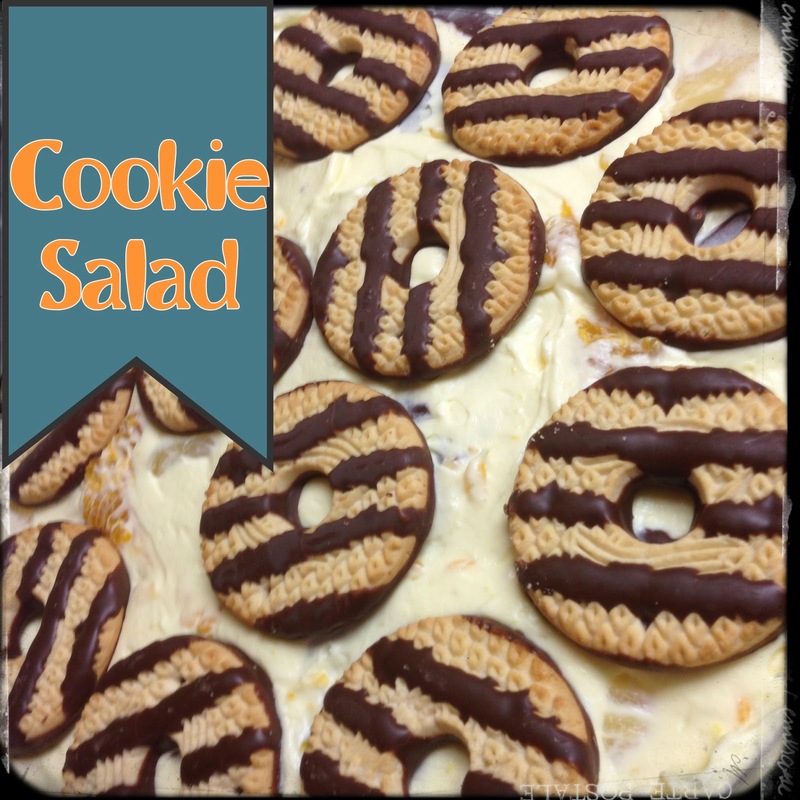 My best buddy Angela always makes this for our friend parties and I think it’s so good, I got the recipe from her to share with you! I messed this up the first time I made it and made cookie soup, it still tasted good! The original recipe is better though. It’s quick and easy to make. It does not keep well so I would make it in the morning of the day you are going to eat it. 2. Fold in cool whip. 3. Then add fruit and quartered cookies and refrigerate. I like to use whole cookies to decorate, they look nice.